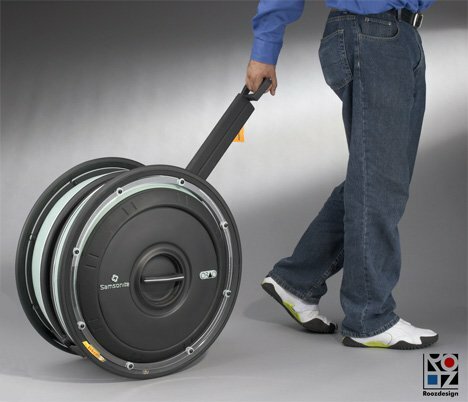 One day, a clever designer decided to stick some small wheels and a retracting handle onto a regular suitcase – and thus the rolling suitcase was born. Industrial designer Rooz Mousavi wondered why the form factor had to be so familiar before inventing a completely new type of rolling bag. 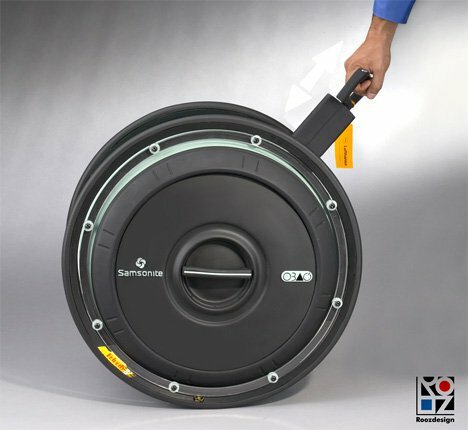 The OBAG is a concept meant for luggage company Samsonite. 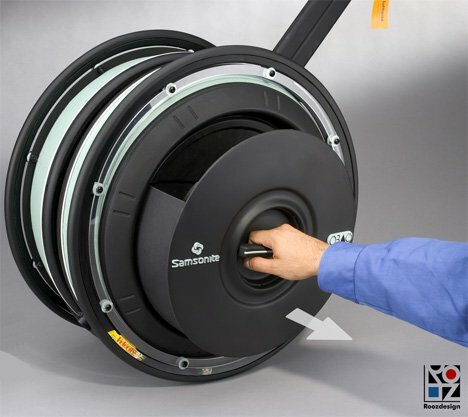 Its simplified form takes on the shape of a huge rolling wheel with an extending handle. 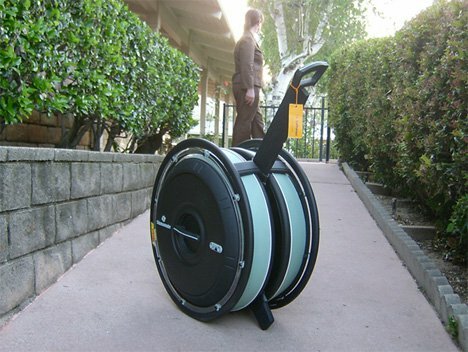 Its shape makes it easy to maneuver over rough ground, through snow or ice, or even up and down stairs. Because the OBAG does away with the traditional boxy shape of rolling suitcases, it doesn’t tip over or become difficult to move like the standard wheeled suitcase is prone to do. Very little energy is required to simply pull the large circle along behind as one walks. The only trade-off seems to be in the size of the storage compartments. They are on the sides of the wheel and are understandably quite a bit smaller than the interior area of a rectangular suitcase. 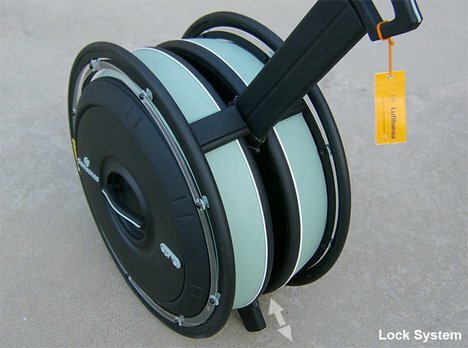 But for short trips or for carrying small amounts of work or school equipment, it could work. A small kickstand-type lock flips out to keep the OBAG from rolling when you want it to stay put. Once the trip is over, the OBAG’s handle folds up so that the bag can be easily stored under a bed or in a closet.